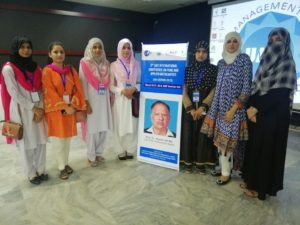 The faculty members and students of Mathematics Department have attended 5th UMT International Conference on Pure and Applied Mathematics at UMT, Quaid-e-Azam Campus Lahore. 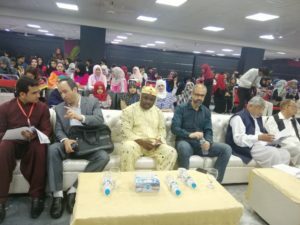 The purpose of one day seminar was to provide a platform for students to communicate with national and international scholars, researchers and graduate students, to share their thoughts and discuss the recent developments in the field of Mathematics. 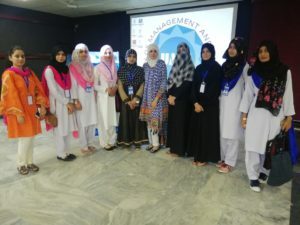 The focus of this conference was to highlight the applications of various domains of Pure Mathematics and to provide new theoretical tools for solving real-world problems using powerful techniques of Fractional Calculus, Topological Structures, Cosmology, Fuzzy Mathematics, Fixed Point Theory and Graph Theory.